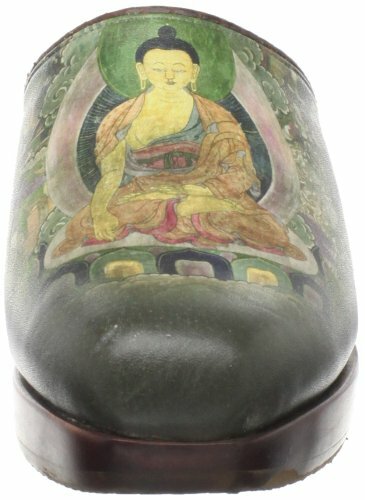 I didn't believe when I saw an Ugg boot with Buddha on it in Kuenzang's Blog. I thought it was a photoshoped piece of work by some sick people. But I copied the link address of Amazon from his picture and did a little verification only to find that one whole company called Iconshoes is sick. They boast their founder to be some fool from Hollywood who landed up becoming a shoemaker, and they have a long list of sick artists whose brushes deserved only some ill-designed shoes. 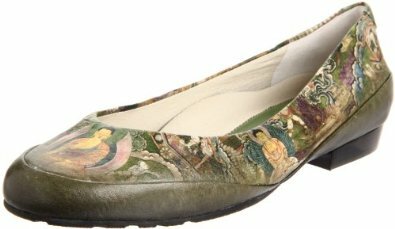 Why do they have to put Lord Buddha's image on shoes? Among Buddhist we don't even let our shadow fall on His image. It cannot be ignorance since they had the guts to run a company and even call the pattern "Thangka of the Buddha". They know everything, they are simply launching war against our faith, knowing that we are Buddhist and that we are capable of saying nothing. 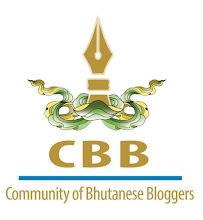 They are looking for enemies by hurting Buddhist sentiments across the world. As much as Jesus is to Christians, and Allah is to Muslims, Buddha is to us Buddhist. He is our God, Our light, Our Hope. We don't fight Jihad nor we fight Crusade, that doesn't show our weakness, thank the lord you have put on your shoes that we are not violent. But remember we are only Buddhist, we are not the Buddha to tolerate that level of disrespect and hatred to our faith. If your factory was somewhere near you would see how it burns down tonight, lucky that you are hiding in California and China. These are just a few from their wide range of choices. They have boots and UGGS and I am surprised the Amazon.com as allowed the sale of these hateful shoes on their popular site. 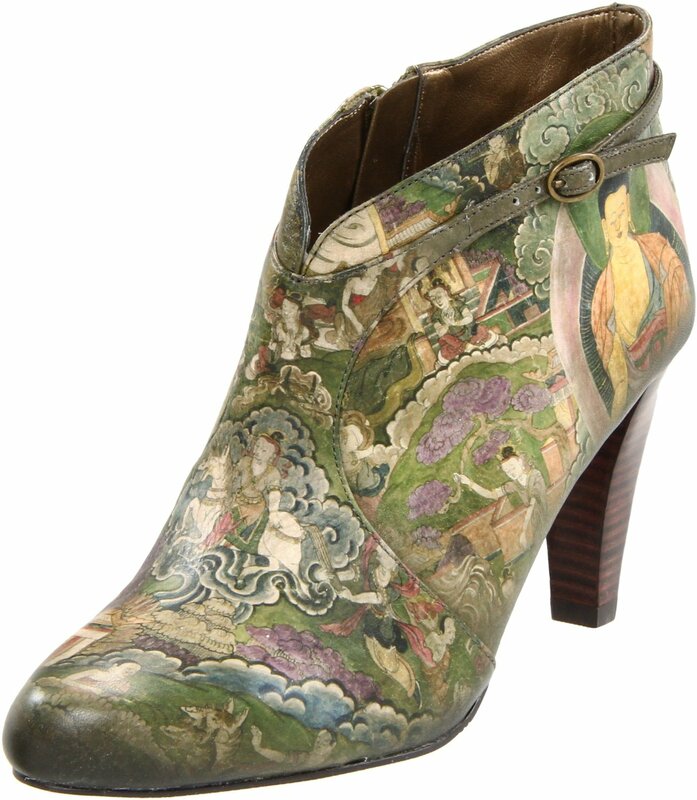 I am sure some crazy people must have bought some of these and might wear it on their feet, but I swear if I see someone wearing one of these shoes I will break their feet and remove the shoe to show them how badly they have hurt my Buddhist heart. If you are a Buddhist and you are hurt by this insensitive shoemaker then pour your emotion on their site's contact form. You can also write to them @ info@iconshoes.com or Call 888 426-6746. Or Leave comments on their Facebook Page. Make sure you use the worst language possible. UPDATE 10 AUG 2012: Please Sign the Petition: Stop using Buddha's image on shoes. This will be delivered to Icon Shoes, amazon and Zazzle.com, the three companies who were involved in producing and distributing the Anti-Buddhist Shoes. I woke up this morning just to get startled with this heart-breaking news. It came as a hard blow on my face. I never thought that they are this inhumane to use the images of Lord Buddha. You all have the freedom to choose your own religion as per ua wishes but i am damn sure that you all dont have any right to insult our God this way. I would like to present my strong objections to your company featuring images of the Buddha on your shoes. This is inappropriate, disrespectful and a sign of cultural ignorance at best and intolerance at worst. I insist that your company to cease the sale and manufacture of such products with immediate effect and deal respectfully and sensitively with the remaining stock. The freedom of speech and an artist's creative license should not impinge on the rights of others. Any self-respecting and honourable artist would not produce work of such a defamatory nature and I urge your company not so support them. Should your company fail to to take any action or respond within a reasonable time frame, I will be speaking to an attorney, and commence activist action. " Goodness, I typed it in such haste there are some glaring grammatical errors. "I insist that your company to cease" should have been "I insist that your company cease", and "not so support them" should have been "not to support them"
I would like to tell everyone not to send the exact same message, or almost similar messages to the companies though, as that could constitute spamming. It will be good if we write our reasons for our objections in our own way so it will not be marked as spam (by humans or by the server). There are lots of people who have lost their minds with the advancements. The greed has already captured their mind to the extent that they don’t care the emotions of the people whose faiths have been deeply rooted in their own beliefs. The world is vast and it has got lot to do with the peace keeping message, donating for the good cause and in general helping out the sentient beings. But instead, this sickened Group and the Cheap Company are trying their best to raise the chaos. They are dying…let us help them die. I feel completely sad for them and pray that once they are gone from this precious life, they will design and these wasteful guys will forever sell their shoes in the hell. I wonder, while these ill living beings are designing these shoes, haven’t they considered ‘WE’-the Buddhist, which is one basic condition to follow in designing. I am shouting from the other side of the world if I ever happen to see any one of you, I would just feel ashamed. I will donate just my life for happily sending you guys to the hell. The shoes might be sold killing the faiths and disrespecting the humanity of the Buddhist world, you (iMad) will pay for this somehow. This is against religion, against culture and against Buddhist people. Today, I went to a Tibetan store and there were long and loose pants in the hanger to which I noticed the waist of the pant has Dzongkha (Choekey?) writing scripted on it. It was disheartening and at the same time, disgusted at my own thoughts by thinking people could go to this extend of not valuing someone else's religion. We've forwarded this to the correct team internally. Thank you for the information. 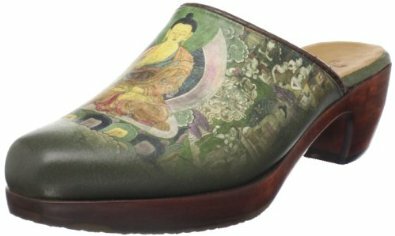 I would like to present my strong objections to your company abetting the sale of footwear products from "Icon Shoes" featuring images of the Buddha. This is inappropriate, disrespectful and a sign of cultural ignorance at best and intolerance at worst. I insist that your company to cease the sale of such products on your website with immediate effect and deal respectfully and sensitively with the remaining stock. The freedom of speech and an artist's creative license should not impinge on the rights of others. Any self-respecting and honourable artist would not produce work of such a defamatory nature and I urge your company not to support them. Should your company fail to to take any action or respond within a reasonable time frame, I will be speaking to an attorney, and will commence activist action. I'm reluctant to click the link for yes, since they have not given me a reply on what they're going to do. We can definitely launch a complaint against the website owners but I can assure you that most foreigners who buy this don't do it out of hatred towards the buddha but simply its simply fascination with oriental art in fashion. Of course this doesnot mean that foreigners can use our sacred art wherever they want but I think making them aware of the sentiments of Buddhist would be useful and they will be able to redeem their mistake. Its a mistake and unawareness of cultural values and as buddhists we need to be calm and open in communication with them. As much as we would like to get mad at the end of the day as buddhist, values are meant to be held in our heart. As long as the teachings of the Buddha are sacred and close to our hearts, the desecration of outer objects and art should not shake our inner values. I thank you for blog post! CRAZY people. We must make them aware and protest soon. Very disheartening to see such design on shoes...who ever designed should go to hell. Buddha are scared and instead of worshiping....thats what they felt...its very Sad!!! all buddhisam will punished by god ,that time will come wait and see.all dalailama most wanted criminal in the world. i think buddha teach to all buddsam to kill innocents,that law followers buddisam fellow they dont know what will happen after u kill muslim in burma.its shame full u need punish u r self other some one can punish u properly . You sound to me like a Muslim who suffered in Burma, and I am very sorry for you and all the people who suffered with you. But istnt it wrong to blame it on all Buddhists across the world? Bad people exist in very country and it's unfortunate you encountered some bad people who were by birth Buddhists but by heart devils. They should not represent all Buddhists. Look at what terrorists have done across the world, how many lives they have taken, how many wars they have started, how many children are left homeless and hungry... Many terrorist are Muslim- but bad Muslims and therefore I don't blame you for that just because you are a Muslim. But if you still think Dalai Lama as criminal, Buddha as violent and Buddhists as bad species of people then you are sick and therefore I better leave you in your own world. 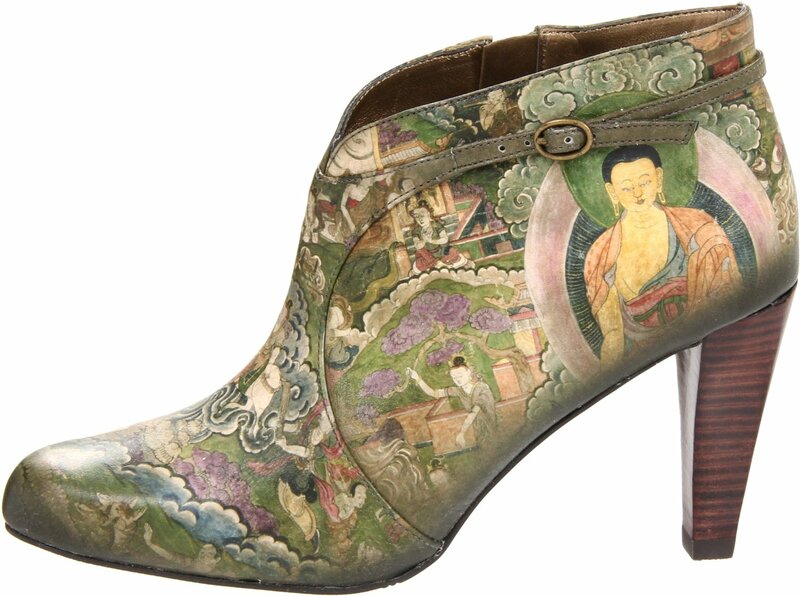 Icon Shoes' Facebook Page is flooding with Buddhist messages against their Insane Shoes. And I am very happy its working finally. Join the team! hey dear u feel icon shoe company will feel u r all buddhist comments on facebook page,but u remember one thing, no one care your foolish comments.still icon company selling shoes which is printed on u r buddhu,amny peoples buying to voilet u r buddhisam, but no one can objection of this issue,any way u r buddhist fellow out of control peoples not think b4 u r doing.its rite/wrong. still now buddisam supporting terrorisam in burma,ooh god save from burma buddhist terrorists ,i think god will punish who creating voilence. no comments from dirty dalailama and aun soun sooki,i think they are indirectly supporting terrorisam. buddhisam means terrorisam.its not a religion group its a terrorist group.hey god they dont know what they are doing,those all eyes closed situation.sure they will go to hell.then they will punish 100times more painfull punishdin hell.that buddist terrorist final destination. you simply go on bluffin dis..i will not pray for ur destruction but m sure dat u will suffer like anything and u will be cursed for this..go to hell...you will wait and notice..ur life will b miserable dan dat u never thought. in the world many countrys aware from buddha devoties some country try to kick out the homes and rejecting what they are saying.the process was started on august but when will end no one can know. Now I understood you are too sick to understand anything. You are not against anything but your own misplaced soul. For what I could gather from your interesting language you seem like a party member that was defeated by Aung's party. There is joy in madness that only madman knows, enjoy your madness. this is not my madness dear this my good ness all everything i know wait and see ...result will come soon. Every body knows that who are terrorists obviously for long time. nothing to do with Buddhism. Burma belongs to Myanmar people, not for illegal muslim Rohingya. You will suffer whatever you have done sooner or later, bad or good. after buddhist terrorist attaking god gave small alert to all buddhists fellows(earth quake)wait and see what type of problem will face plsease remember all bruthless buddhists. hey my dear friend buddhisam is only some countrys fallowing the religion.but ISLAM is very fastest growing religion all over the world. mind it buddhist terrorist.after death all bhuddist burn long time there is no bhudda help u. Thank you John Silver for replying to this "Burning Burma..." on our behalf. he is sick. He is not only defaming Buddhism but by showing his bloody attitude he's degrading Islam as well. You don't deserve to be a Muslim, boy. hey my dear friends i am not angry with u r words but,u need to remember after burma buddhist attacking many(30000) rohingya mislims homeless at that time but, now GOD replys to buddhas followers(CHINA) earth quake effect (100000)many buddha fallowers home less.any way god reply to early all buddha fallowers.hey god save china people.those peoples homeless. next effect start in burma.i think so pls all burma buddist wake up try to vacate that place..this is my humble request. People like to go different places and create disharmony. You should be the one to leave for hell. Die and Let live. I think you were trained at Al-Qaeda training center where fools like you are made to believe that you will go to heaven if you become terrorists. Come on grow up. Heaven is on earth if you know how to live your life well. Have you every received an email from your friends in heaven? buddhisam is very dangerous religion in the world like yahoodi.so pls every human carefully talk with them they dont know what is that fact is in real life. present situation turky helping the all burmese muslims,god help them,ihattsoff to all turkish peoples ,thank you turkeey god will save you. My dear terrorist, you are the first terrorist I know and it's my first time knowing how a terrorist thinks. You r a shame to the decent muslim world. I like when u talk about the heaven more than real world. What do you care about real world. i tink u r the great looooooser in the world. i dont know y u r replying like that kids.he he he any way u r the very foolinnocent person in the earth shame on u r birth. This is my message for the icon shoe. I am at all not happy to see such design in your market. It was rather a surprising for we Bhutanese to see this design. If you all have done it for the sake of money than I would rather suggest you to stop this act and start begging for money from we Bhutanese. At lease you would get some coin from us rather than disgusting comments. I know you even have religion right fella, if not than think of your parents photo well designed in foot mat and shoes as you have done it to us. Have the sense of how will you feel. So with this all comment from we Bhutanese I hope that this kind of production would be strictly STOPPED from NOW! I mean N O W.
Hey I am Chhador Tshewwang and the nname above is my name used in computer use. any way god is great he will reply you what is rite what is wrong, no need to worry about that.unusually searching for fakefull comments. FIR No. 349 dated September 1, 2012 lodged by SHO, Model Town Police station, Rewari (Haryana - India)against Icon, eBay India and Amazon.com for insulting Lord Buddha image on shoes for the violation of the IPC 295-A, 120-B read by section 66-A of the IT Act. Abhishek Kadyan and Sukanya Kadyan taken up this matter with the Delhi Police. I m very happy to know about this action. Please update us on the case as it progresses.